Original, exciting, incredibly energizing! The Swedish duo Invoke The Insult is the exaltation of the best electro-industrial / EBM art, simultaneously oldschool-newschool oriented. Jonas & Klas create an attractive, danceable and dynamic technological sound, through equipments capable of expressing the maximum emphasis, which will lead the listener into a pure and rational electronic dimension. Aggressive, obscure and acidic vocals, hypnotic drum-programming, punctuations of sequencers and alienating keyboards are the peculiarities of the thirteen songs. Distinction, talent and hard determination are the elements that will act as propellant to this amazing project, establishing an intense contact with your body and your senses: the effects will be indescribable. 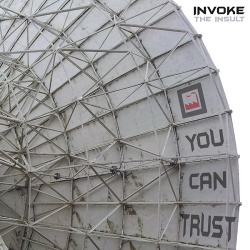 'You can trust' in Invoke The Insult! Sure.